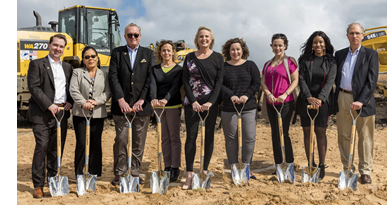 ​​ IOWA COLONY, BRAZORIA COUNTY – Land Tejas has broken ground on the 850-acre Sierra Vista community. Pricing starts at the low $200,000s with homes by builders Anglia Homes, CastleRock Communities, D.R. Horton, and Westin Homes. Sierra Vista is near Hwy. 288 in northern Brazoria County, south of Houston. The development is a sister community to neighboring Sterling Lakes, also by Land Tejas.